Improving the lives of the families in refugee camps for every LED light sold. 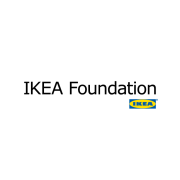 The UN refugee agency (UNHCR) has partnered with IKEA Foundation to create the Brighter Lives for Refugees campaign. For every IKEA LEDARE light bulb purchased in IKEA stores during February and March 2015, the IKEA Foundation will donate €1 to UNHCR to light refugee camps – making them a safer and a better place for the many vulnerable refugees who live in refugee camps across Asia, Africa and the Middle East, making each refugee camp a safer and more suitable home for refugee children and their families. The IKEA Foundation has partnered with UNHCR since 2010, helping to provide shelter, care and education in refugee camps and surrounding communities. 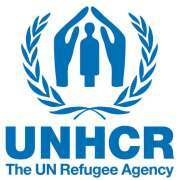 The Foundation has to date committed more than €125 million in support to UNHCR. The agency is mandated to lead and co-ordinate international action to protect refugees and resolve refugee problems worldwide. Its primary purpose is to safeguard the rights and well-being of refugees. It strives to ensure that everyone can exercise the right to seek asylum and find safe refuge in another State, with the option to return home voluntarily, integrate locally or to resettle in a third country. It also has a mandate to help stateless people. Advocacy is a key element in UNHCR activities to protect refugees, asylum seekers, internally displaced people and stateless people. It is a cornerstone of protection strategies, used in combination with activities such as information dissemination, monitoring and negotiation. These can help transform policies and services on national, regional or global levels to better protect people for whom UNHCR bears responsibility. UNHCR and its partners provide vital assistance, which takes many forms. Initially, we provide live-saving emergency assistance in the form of clean water and sanitation and health care as well as shelter materials and other relief items, such as blankets, sleeping mats, jerry cans, household goods and sometimes food. Other vital assistance that we provide, or help provide, includes refugee registration, assistance and advice on asylum applications, education and counselling. And UNHCR's assistance extends to people who return home - we arrange transport by air, sea and land and give returnees a leg up in the form of assistance packages. The agency is also involved in local integration or reintegration programmes, including income-generation projects, restoration of infrastructure and other assistance. The people who move in this manner place their lives at risk. They are often obliged to travel in inhumane conditions and may be exposed to exploitation and abuse. States regard such movements as a threat to their sovereignty and security. And yet this may be, in some cases, the only escape route open to those fleeing war or persecution. While recognizing that border controls are essential for combatting international crime, including smuggling and trafficking, UNHCR stresses the need for practical protection safeguards to ensure that such measures are not applied in an indiscriminate or disproportionate manner and do not lead to refugees being returned to countries where their life or liberty would be at risk. UNHCR works with governments around the world to help them respond to some of these challenges in a coherent and practical way. Capacity building activities are geared towards strengthening national authorities, laws and policies to ensure the proper handling of refugee and asylum issues, the reception and care of refugees, the promotion of self-reliance of refugees and the realization of durable solutions. But the task cannot be accomplished alone. It requires a partnership framework involving host and donor governments, humanitarian assistance and developmental agencies, civil society, including NGOs, together with refugees themselves. While UNHCR's primary purpose is to safeguard the rights and well-being of refugees, our ultimate goal is to help find durable solutions that will allow them to rebuild their lives in dignity and peace. There are three solutions open to refugees where UNHCR can help: voluntary repatriation; local integration; or resettlement to a third country in situations where it is impossible for a person to go back home or remain in the host country. UNHCR helps achieve one or other of these durable solutions for refugees around the world every year. To prepare for and respond to an emergency, UNHCR has assembled teams of people with a wide range of key skills who are ready for deployment anywhere in the world at a moment's notice. The agency has also created emergency stockpiles of non-food aid items in Copenhagen and Dubai to supplement local aid supplies in areas of need. At any given time, UNHCR has the capacity to respond to a new emergency impacting up to 500,000 people. The agency can also mobilize more than 300 trained personnel within 72 hours. These experts come from its Emergency Response Team (ERT) roster. UNHCR has also developed mechanisms for the immediate mobilization of financial resources to help meet the response to an emergency without delay. UNHCR recognizes the potential damage that camps and settlements can have on the environment, as well as on the local economy and relations with host communities. To this end, the refugee agency has developed an overarching policy to deal with environmental issues. Equally important, UNHCR develops and supports a range of field projects that help reduce or overcome some of the damage caused by humanitarian operations. UNHCR also responds to new, emerging threats such as climate change. UNHCR is almost entirely funded by direct, voluntary contributions - the bulk of it from donor nations. We get important contributions from non-governmental organizations (NGO) and the private sector, including corporations, trusts, foundations and individual citizens. There is also a small annual subsidy from the regular budget of the United Nations, which is used for administrative costs.The Donor Relations and Resource Mobilization service liaises closely with governments to raise funds and to keep these key stakeholders informed about needs and about how their money is being used. The Private Sector Fund-Raising unit plays a similar role, interfacing with NGOs, trusts, foundations and private donors. It raised almost US$50 million in 2008. In 2009, UNHCR rolled out worldwide a Global Needs Assessment (GNA) aimed at determining the real needs of refugees and internally displaced people, the costs of meeting those needs and the consequences of any gaps. The GNA is now an integral part of how UNHCR maps and plans its operations around the globe. The GNA started as a pilot project in 2008 in eight countries - Cameroon, Ecuador, Georgia, Rwanda, Tanzania, Thailand, Yemen and Zambia - and found that there were gaps in several areas, including shelter, health, education, food security, sanitation and the prevention of sexual violence. Nearly a third of those unmet needs were basic and essential services.